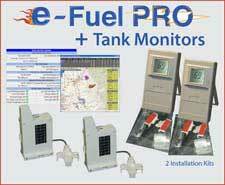 e-Fuel Delivery Management (DM), Mobile and Tank Monitors are designed for the LPG Marketer to help improve profitability by leveraging the latest automation technology. Low risk and low cost. Run parallel with your existing system during start up. Month to month or contract pricing. No IT investment-fits into your existing business setup. 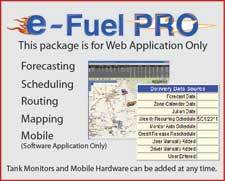 See The Fuel Web store for details! 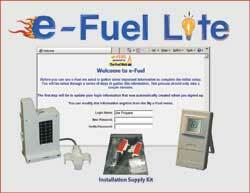 e-Fuel Lite is also available for storage tank monitors. 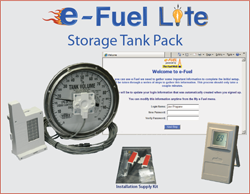 Hardware includes storage tank monitor set with connectors for cable and 75' cable. One Gateway supports communication with up to 8 Data Modules in a small geographic area, saving on tank monitor costs for tank farms. 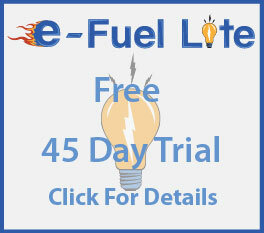 Log in to e-Fuel Delivery Management for installation logs and tracking, alerts and messaging, forecasting, scheduling, mapping and routing.